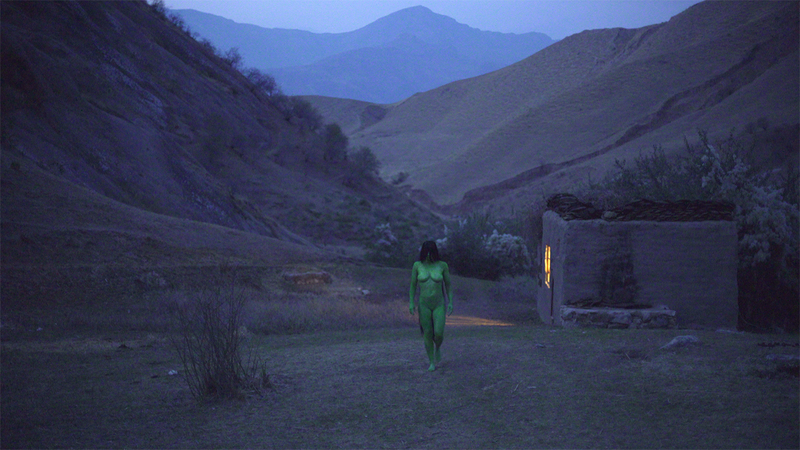 With the luxury of an international festival on my doorstep, I was on the hunt for non-mainstream outlooks, female directors, experimental approaches and films with an eerie edge. I found myself transported to some unexpected places by three striking features, two directed by women and offering insights into Thai and Afghan cultures, the other an affirming documentary about a community built on fictional horror. For cinematic eeriness, the first port of call has to be Richard Kuipers’ regular SFF sub-program Freak Me Out, with its focus on independent horror cinema. New Zealand-Australian co-production Spookers (Florian Habicht, 2017) is notable for being the first documentary to be included in this program. A comprehensive survey of the titular horror theme park, Spookers, gloriously encapsulates everything that draws people to the cult(ure) of fictional horror: Bacchic delight in imaginative excess, the liberating celebration of monstrosity and freakishness, the embrace of misfits and the opportunity to confront personal fears. 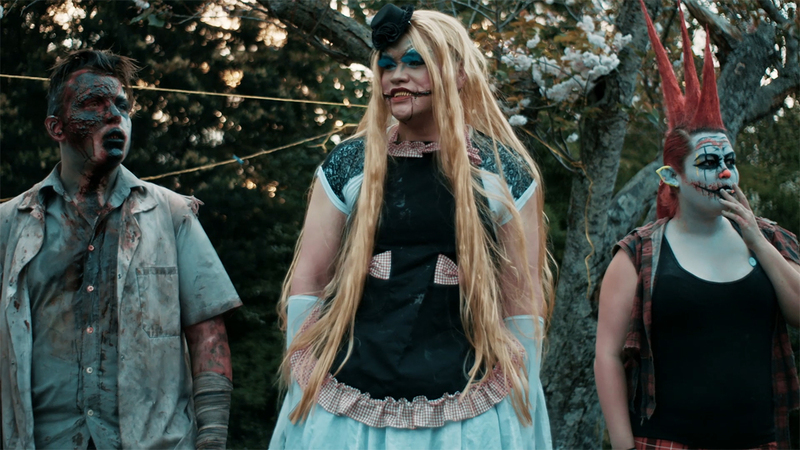 Located in the grounds of Kingseat, a former psychiatric hospital in South Auckland, Spookers is a family business whose communal ethos encircles a whole extended tribe of performers working in a variety of ghoulish roles to terrify the paying public. Broad, Tales From the Crypt-like horror archetypes are the meat and potatoes of ghost trains, and Spookers is a ghost train par excellence. The newly risen dead, weddings gone wrong, perversions of the Hippocratic oath (crazed doctors, nurses, dentists, scientists), victim-patients in straitjackets, murderers consigned to the electric chair; all combine to form a lurid tapestry from the very beginning of the film, where zombie-performers loom out of an artful cemetery brandishing tombstones inscribed with the opening credits. With its horror movie ambience, including shots of contorted, snarling actors elaborately made-up in gore, and ominous solitary walk-throughs of the old institution, Spookers the film becomes a perfect simulacrum of Spookers the theme park experience. But beyond the frightening theatrics is a wealth of personal stories. Through interviews (more often than not in costume) and beautiful tableaux by production designer Teresa Peters, Habicht explores the motivations, fears and literal dreams of the performers and the park’s family proprietors (one of whom, in Jekyll and Hyde fashion, doubles as Mayor of Rangitikei District by day). Crucially, given horror’s propensity to exploit mental illness as a trope, evidenced in the very direct way the theme park capitalises on Kingseat’s past incarnation, Habicht also interviews a former patient of the institution, Debra Lampshire, about her experience at the site and her thoughts on its current manifestation. She’s diplomatic but clearly unenthused. As the park’s employees reveal their own mental health struggles, however, it becomes difficult to draw a clear line between Spookers’ stigmatisation of the mentally ill as murderous psychos and its significance for staff as a supportive, cathartic outlet. Performers develop particular horror personas that allow them to gain power over their demons by embodying them. They describe Spookers as a family, somewhere they can be themselves without being judged. Huia, the chainsaw-wielding horror clown, compares it to the sense of belonging he gets from the Mormon Church. 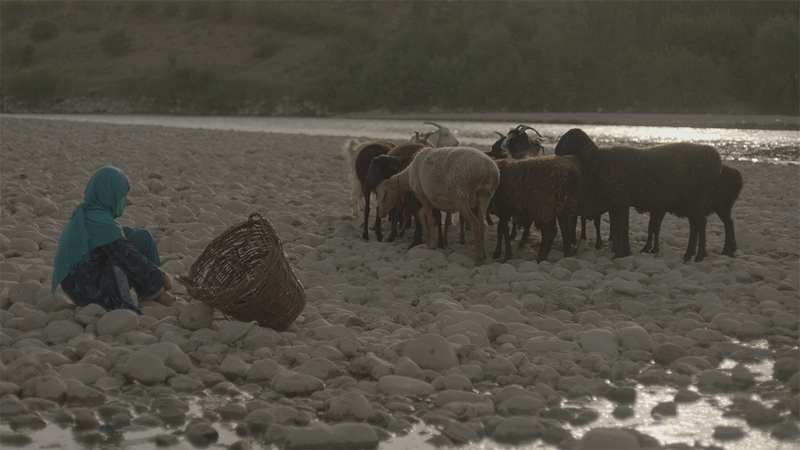 Young Afghan director Shahrbanoo Sadat’s debut feature, Wolf and Sheep (Afghanistan/Denmark, 2016) is an ethnographic drama with elements of magic realism. Set in an unnamed village in Central Afghanistan, it offers an unhurried portrait of rural life, partly based on her own childhood experience. It begins with funeral arrangements for a man who had four young children, and unfolds in unaffected, documentary style. The film was also inspired by the unpublished diaries of Anwar Hashimi, a young shepherd who lived in Sadat’s village in the 70s; and like a diary, it captures the rhythm of events recorded daily, some dramatic, many inconsequential and repetitive, with an absence of emphasis on story arc. There is a timelessness about the life that goes on in this high, hot, golden place, skilfully shot with hand-held camera by cinematographer Virginie Surdej on the steep mountain passes of Tajikistan, which stood in for Afghanistan for security reasons. Children, on whom the film focuses, drive flocks of sheep and goats up and down the mountainside, pausing to splash in a stream or hone their slingshot technique over the heights. Like their elders, they gossip, joke, trade colourful insults (a Central Afghan specialty, according to Sadat), stories and lore, including tales of the legendary Kashmir Wolf. The naturalistic sound design emphasises the region’s airy isolation, with echoing goat bells, the whistling of the wind and the distant howling of wolves. Three nocturnal scenes offer a tantalising glimpse of an uncanny folkloric otherworld — yet one that’s inextricably linked to the waking life of this village, where fairytales gain potency through constant retelling. Sadat explained during the post-screening Q&A that she wanted to make a film about Afghan life that avoided “war clichés.” There is just one hint of a wider threat to the village in the closing scene, but in keeping with the film’s deliberate historical haziness, it could emanate from any phase of the country’s occupations or civil unrest, from the Soviets to the present. Like Wolf and Sheep, Anocha Suwichakornpong’s By the Time it Gets Dark (Thailand, 2016) is a slow and meditative experimental drama. In the opening scenes, two women arrive at a simple, spacious timber guesthouse in the Thai countryside. They are here to develop a screenplay the younger woman, a filmmaker, is writing about the older woman, a famous author and former student pro-democracy activist in the 1970s. The latter survived an infamous politically motivated atrocity in October 1976 (a real-life massacre of students at Thammasat University, commemorated annually, according to Suwichakornpong, until the military took over three years ago). The spectre of this event hangs in the air as the two conduct their interviews for the camera and otherwise politely interact. In contrast with the violent upheaval of the author’s youth, the tranquillity is palpable in lingering scenes of the two women in their elegantly minimal dwelling, the sunlit expanse of fields and hills framed in the windows behind them. The sound is softly diegetic, a subtle whirr of crickets forming an undertone to the serenity. It’s as though you can hear the landscape breathing. Beauty is paramount in Suwichakornpong’s many figure-in-landscape passages, which usually focus on one, occasionally two, people moving through a forest in extended shots that pull the viewer into the scene. There’s a luminous, rather pregnant quality to this first part of the film as we wait for the director-character’s ideas to gestate, and for her companion to reveal more of her past. But as quietly contemplative scenes of the two are increasingly intercut with flashbacks and dream sequences, a sense of ambiguity impinges upon linear narrative, until unexpectedly, yet languidly, we find ourselves inhabiting other characters’ lives altogether, in other locations. One is a young actor, a heartthrob who, it emerges, will take the lead role in the director’s independent film about October 1976. The other is a young woman who appears in a series of largely non-verbal roles throughout the film, sometimes coinciding with other characters. Her various occupations — as worker at a rural café, cleaner at a city hotel, wait staff on a harbour cruise, night-clubber, Buddhist nun — offer a snapshot of contemporary Thailand, though the girl’s unsmiling presence hints at underlying discontent. Throughout these more abstract passages, the film retains its sumptuous beauty, becoming a travel experience during which you observe a small portion of someone else’s existence and try to discern their unexpressed emotions. It’s mesmerising and intriguing, but it does leave the central theme — the issue of the historic atrocity — dangling somewhat. While a deliberate open-endedness suited the themes of Sharhbanoo Sadat’s Wolf and Sheep, in Suwichakornpong’s film it seems a decision more in service of style than meaning. Yet I wouldn’t mind stepping into the Thai director’s world again just to experience the subtle imminence she evokes in her film’s initial chapter.